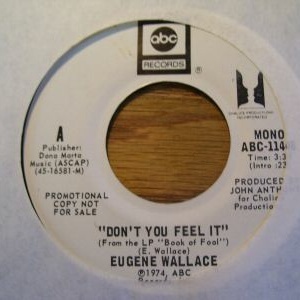 Little known outside record collecting circles, Eugene Wallace is a gifted songwriter and a powerful singer with a raw yet soulful voice who perhaps had the misfortune to sound a little too much like another famous singer, Joe Cocker, with whom he was often compared. 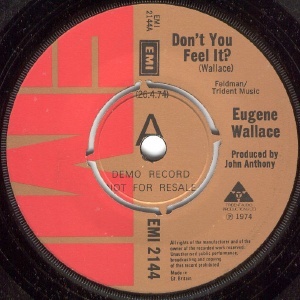 Wallace was born in Limerick on 31 August 1950 and began playing in local bands as a teenager. He was a member of Sweet Street, a West Coast style psychedelic band active 1967-69 approx with Johnny Fean (pre Horslips) and Joe O'Donnell (pre Woods Band), and later circa 1969-70 in Pat Quigley's Macbeth. When Macbeth's sound became heavier, Eugene moved on. He played the clubs in Holland and Denmark in 1970 and moved to London in 1971 where his powerful voice made an immediate impact. Maurice Gibb of the Bee Gees was reputedly interested in recording him at one point but it was his appearance at the concert in aid of Bangladesh held at the Oval in September 1971 (with The Who, The Faces, Atomic Rooster and the Grease Band) that brought him his greatest exposure and led to a production deal with Neptune Productions, owners of Trident Studios and the company behind Queen and Gypsy among others. An album was announced in October 1972. 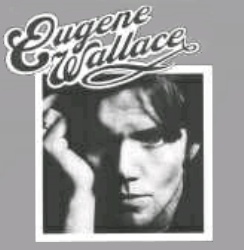 Initially Neptune envisaged an album of cover versions showcasing Eugene's voice. Eugene reluctantly agreed but he demoed some of his own songs at the urging of producer John Anthony and these convinced Neptune to include some of his originals on the album. The sessions for the album included many top musicians including Phil Collins, Brian Odgers, Davey Johnstone, Tim Renwick, Lynton Naiff (Affinity), Ricotti Frank, John Hawken (Renaissance), B.J.Cole, Dave Hentschel, Ray Cooper and Nick Graham (Skin Alley). Roger Taylor (Queen) was also present but his contribution would not appear until later. 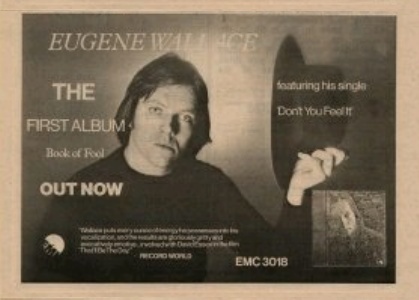 The debut album Book of Fool was released in July 1974 on EMI Records, by which time Eugene was already busy recording his second album. 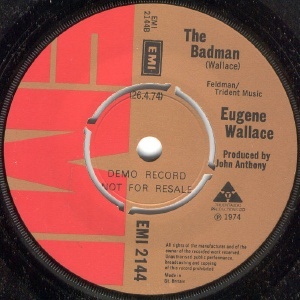 It was preceeded by a single, "Don't You Feel It" / "The Badman" in April, both tracks taken from the LP. 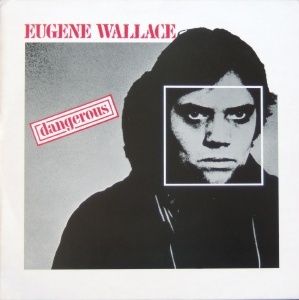 The album is excellent, especially the long title track, but it is just one of several originals which show Wallace to be an excellent songwriter. There are also covers of Tim Buckley (an unrecognisible "Morning Glory") Randy Newman (a fantastic version of "You Can Leave Your Hat On", covered 10 years later by Joe Cocker who undoubtedly heard Eugene's version) and Jackson Browne ("Rock Me On The Water"). The album was issued in the USA by ABC Records but without tour support it did not make the impact it should have. Today the ABC version is the easier of the two issues to find and is recommended. 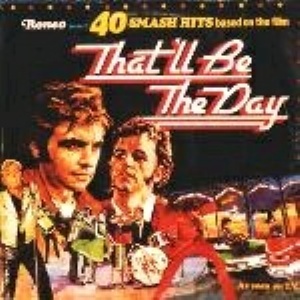 Eugene's vinyl debut had actually occurred a year earlier when he appeared in the film "That'll Be The Day" with David Essex and Ringo Starr and contributed one song to the soundtrack album released by Ronco in 1973. 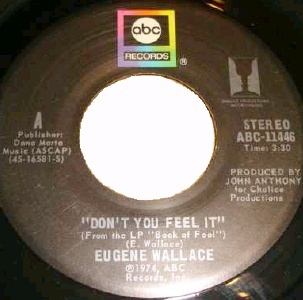 Following the lack of success of the debut, Eugene was encouraged to produce material more in the style of Joe Cocker in an attempt to gain wider commercial appeal. 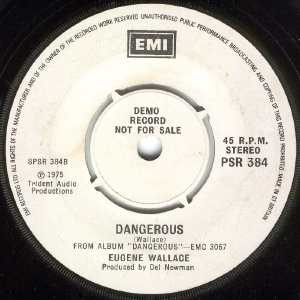 The results are audible on the second album "Dangerous", released in 1975. Unfortunately they actually sound like a poor man's Joe Cocker, a fact which did not go unnoticed in contemporary reviews and thus had the opposite of the intended effect! The album's saving graces are two superb tracks "Children" and "The Killer", both equal in quality to the material on the debut. Some of the recordings on Dangerous in fact date from the 1972 debut LP sessions, which may explain this difference. 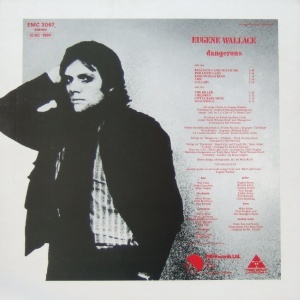 Although there are no firm details about when each track recorded, the title track was definitely recorded in 1972 as it features Roger Taylor of Queen. 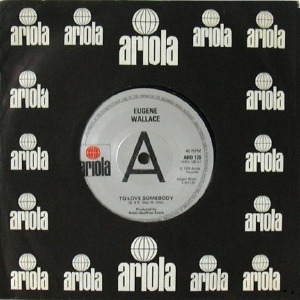 "Dangerous" was not released in the USA and is the more difficult of the two albums to find, in part because of Roger Taylor's presence attracting the attention of Queen collectors. It was preceded by a promo only single on Trident's own label which is especially difficult to find. 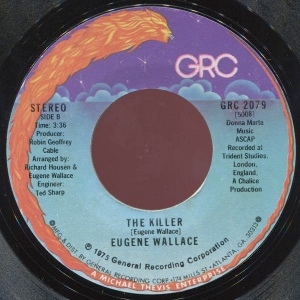 This was the end of Wallace's solo recording career apart from a Bee Gee's cover released as a single in 1978. He also worked with Phil Lynott at some point (details to follow). In December 1985, Eugene Wallace & Band played the Savoy in Limerick on St.Stephen's Day, supported by the Ger Costelloe Band. He supported Tuesday Blue at the same venue in February 1986. In later years Eugene reached a much wider audience though advertising voiceovers on TV! 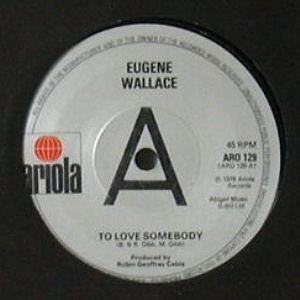 Eugene Richard Wallace died after illness on 24th of November 1999. Recorded 1972 at Trident Studios. CD - bootleg - ??? - UK - ??? 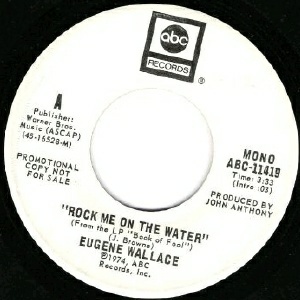 The double-LP soundtrack of the movie features three sides of oldies and one side of new material including Eugene's "Slow Down" which was recorded with the help of Rick Grech (Family) and Keith Moon (The Who). 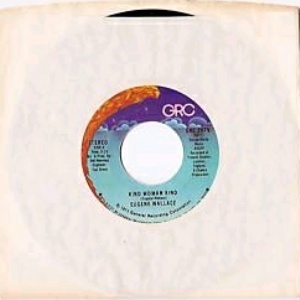 7" - GRC Records - 2079 - USA - 1975? Recorded in 1972 & 1974 at Trident Studios. 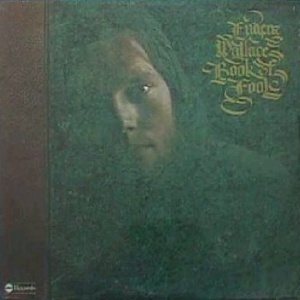 These credits are for the 1974 sessions; parts of this album were recorded in 1972 during the "Book Of Fool" sessions and may feature Roger Taylor, Caleb Quaye, John Gustafson, Gordon Hunter and others.